This group of plants has long been admired: In Asian cultures it is a symbol of perfection; the Chinese philosopher Confucius described the virtues of its perfume more than 1500 years ago; the Greeks believed in its curative and aphrodisiac properties; and the Aztecs used the vanilla orchid to enrich their cocoa drink known as xocoatl. With almost 850 genera and some 25,000 species known in the wild, in this sierra there are nearly 30 different species catalogued, each one adapted to a particular local ecosystem. They are in flower practically all year round, starting in the cold winter months and finishing when the last ones lose their leaves in autumn. The local orchids are terrestrial species which have evolved to be pollinated mainly by insects. 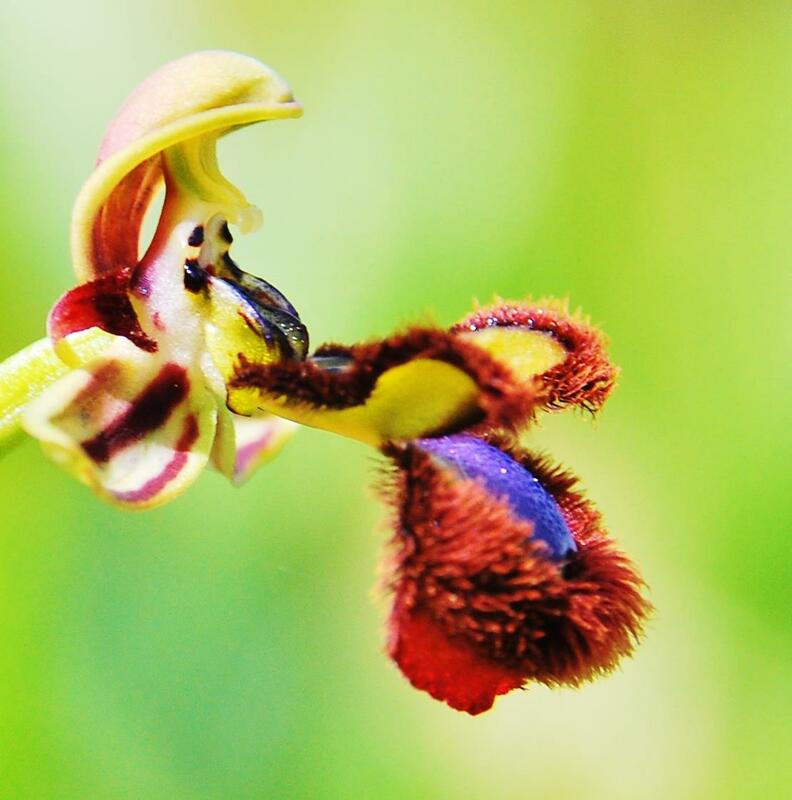 These orchids attract insects by 3 processes; by offering pollen, tricking or capturing. As many species of orchids don’t produce nectar and only emit a faint scent, the insects are attracted either by error, or by what appears to be a nectar-producing flower. It is possible that scent is more important than visual signals for the pollinating insects. In fact it is thought that some species give off perfumes similar to some female insect pheromones. These pheromones can provoke courtship behaviour in the males which leads to pollination. The evolution of these forms of insect attraction is very complex and advanced. We ask you to join us and discover this marvellous world of orchids, following numerous trails where we can observe these species in their natural environment and help to respect and conserve them.